Wish you could trade in your old equipment for newer gear from a few of the top brands in baseball? Well now you have a chance this weekend at Better Baseball! The BB team has partnered with non-profit organization Pitch-In For Baseball to donate recycled baseball equipment to less fortunate children. Participants in the event will receive raffle tickets for each item they donate and will then have a chance to win a prize(s) of their choice! The event will be running from Thursday July 26th through Tuesday July 31stat both the Marietta and Chamblee locations. 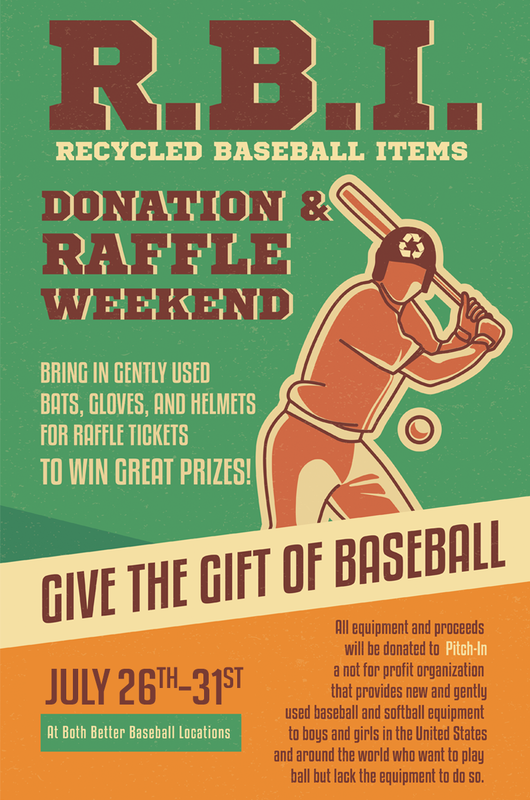 Time to blow the dust off your old equipment and get your raffle on! 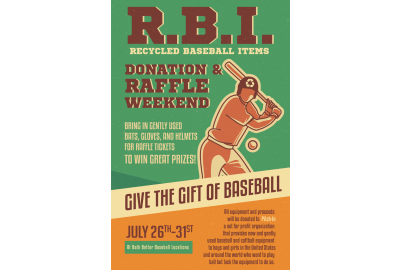 Pitch-In is a non-profit organization that provides new and used baseball and softball equipment to children around the world who would love to play the game but lack the equipment. Over the past 10 years, PIFB has donated more than $5 million worth of equipment to 500,000 under-resourced kids in nearly every state in the U.S. and 80 different countries internationally. METAL BAT OF YOUR CHOICE! WOOD BAT OF YOUR CHOICE!